We *love* our fashion and flea markets – last year they topped the leaderboard for the sunniest, funnest days of the whole market roster, and we have some absolutely fantastic vintage and fashion sellers who will be joining us this week for the first fashion and flea market of 2015! BONANZA! Because we happen to *cough* have recently had some good food-related news and we just *might* be having some special visitors this weekend (Peter Gott! Richard Corrigan! OMG! #foodentrepreneurgeek) to test our our foodie accolades we thought we better make sure the foodie element of Levy is out in full force too. So, we’ve laid on a few extra foodie traders for this week only AND we’ve got some special FREE food making workshops for visitors to the market! 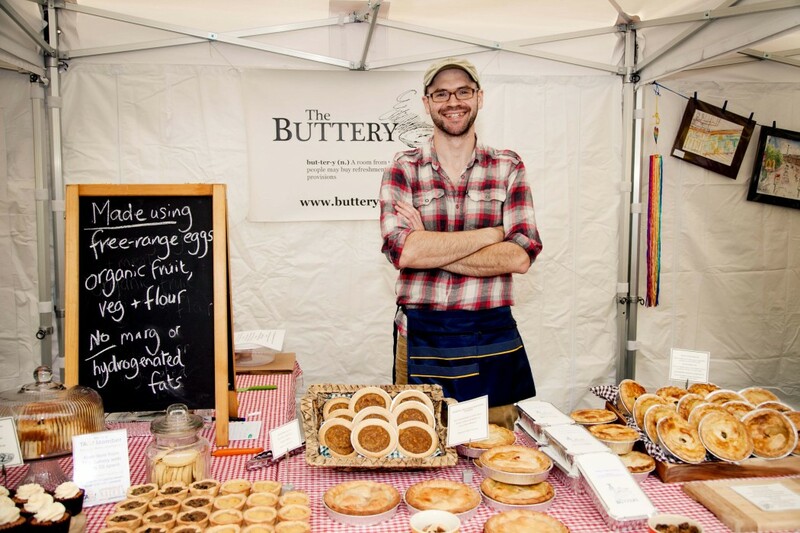 12.00noon – Pastry Workshop: with The Buttery – finalist in the Telegraph’s Fabulous Foodie competition, Neil Buttery knows a thing or two about pastry – if you’ve ever tasted one of his pies or tarts you’ll agree. He’ll be talking through the fundamentals of selecting and making the perfect pastry for your dish. 12.30pm – Sausage Making: with Bobby’s Bangers – less The Generation Game, more Jimmy’s Farm, the sausage kings (and queen) of Levy Market are multiple award winners for their superlative bangers and will lead a hands on demonstration in how to make your own! 1.00pm – Pad Thai from Scratch: with 4Lunch – the lovely Amy has been at Levy since we started in 2013 with her social enterprise, 4Lunch, working with young people to increase their confidence and employability through food, enterprise and market stall trading. She’ll be taking us through the process of making the original street food – pad Thai – from space selection to noodle slurping!